Trafalgar's Strippit Fabri-Centre 1250SXP Turret Punch is the heartbeat of the factory and when combined with our design software Solidworks & Metalix, our capabilities to program and manufacture your desired part or component are second to none. 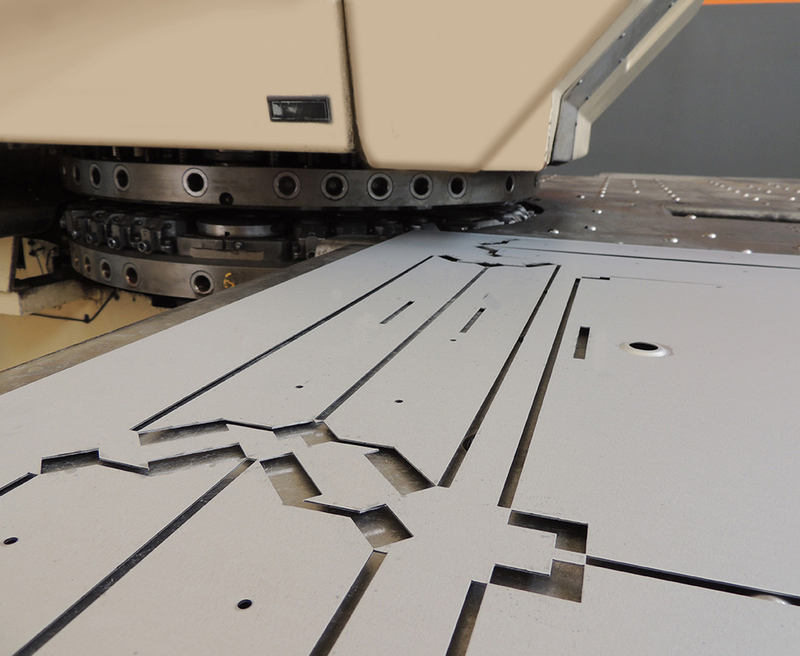 CNC Turret Punching is one of the fastest and most affordable processes used in the manufacture of sheet metal components and allows a wide variety of materials to be punched into 2D shapes. We currently use steel, stainless steel & aluminium but are capable of punching all alloys supplied in sheet form. Thickness of material can range from .5mm up to 5mm with a flat sheet size of 1250mm x 3050mm abled to be punched. We currently have a large range of tooling in various sizes allowing us to punch, nibble, perforate, form and extrude any shape or part you require from prototypes to large production runs. © Trafalgar Manufacturing - 2019 All Rights Reserved.